On November 22nd, 2014 I hit my goal weight of 190 lbs. A weight I haven’t seen, or felt, in over 14 years and a journey I started over 18 months ago. The decision to start this journey was not one that came easily. I had grown complacent and satisfied with life. I could not see or appreciate what I looked like, felt, or what others saw. In my eyes, the feedback I would receive was bias and nothing more than exaggeration, amplification of the truth, all in an effort to make me believe in something I wasn’t mentally ready to believe. I was obese. The impacts of my obesity weren’t just impacts to me, but impacts to my children as well. Like many, when I was in the Marine Corps thinking about working out was easy. It was mandatory. Every Monday / Wednesday / Friday you had to PT. Every afternoon we’d hit the gym and pump iron, it was the thing to do and everyone else was doing it too. It’s easy to tag along. I’m not athletic by design though, as such, when I got out, as much as I told myself I would not let it happen, it happened. First, I blamed it on my wife and first child. I swear, she was unable to eat ice cream alone, and as a young couple I couldn’t rightfully leave her home alone after work, pregnant, so I could work out. 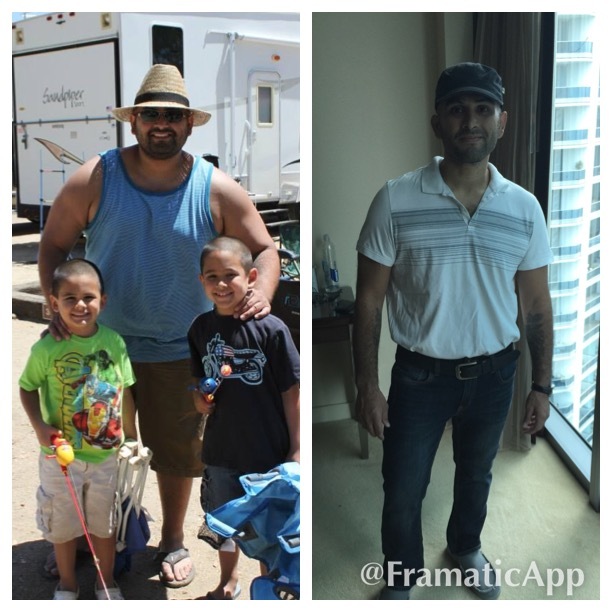 Before I knew it, I had put on my first 60 lbs, more than my wife during her first pregnancy. It was still easy to find something to wear, so what was the big deal. I don’t exactly remember when I crossed that threshold where it was impossible to shop at regular department stores. Or when my waist ballooned beyond 46″ and my chest was greater than 65″. I can’t quite recall when it began to be a problem to breathe normally while walking a block, or when my knees started to hurt. Somewhere in the process though I began to use the line, “You don’t understand, I’ve tried everything, but I have bad knees and back from my time in the Corps.” Oh, how easy that came out of my mouth. With each passing day I came face to face with what I call the Tomorrow dilemma. You know, the “It’s ok I’m eating this brownie today, because tomorrow I’m starting my training”. What I came to realize though is that there really is no tomorrow, or today, when it comes to getting started. There is just Now. My now came May 23rd, 2013. I was tipping the scale at a solid 310 lbs at 5’9″. If I was Italian and lived in the Renaissance era I’d undoubtedly be considered a King or a man of extreme wealth. That is the day that my friend Ric Chad finally got me to join him on a morning run (walk). I did everything wrong when I started. 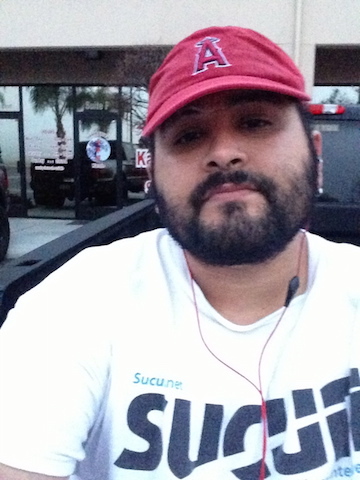 I ran / walked 5.5 miles that day. I was proud of myself, it took me 2.25 hours. It took me 7 days to recuperate from that event. I suffered from all the same issues may suffer; my joints were swollen, my knees were in severe pain, my back was super sore, the shin splints felt as if they were going to explode, the list was endless.. The following Saturday, I did it again. Again, 7 days to recover. Ric told me to focus on a mile every other day and leaving weekends for the long mileage just to get started, see if we could reduce the pain, and so I started doing that. Slowly, every other day I would get up and walk a mile or so in the dark listening to my music. It wasn’t fun, it was exciting. It was downright depressing to be accurate, I remember hating every step. Everything felt so slow, the results never showed, the scale never moved. Something Was Missing – Why focus on my health? I felt myself going through the motions, but I lacked the motivation to keep going. I was determined though and continued. I dabbled in various things, I rode my bike, I went to the gym, I reengaged myself in Karate, I went swimming, I dabbled in CrossFit and finally I enrolled in Brazilian JiuJitsu again. Don’t worry, this isn’t a post about any of those things, contrary to popular belief. The missing element was Purpose, why was I doing what I was doing. I think for every person the why is going to be different, but without we have no drive or passion for what we’re doing. What I realized on my journey is that what kept me focused really came down to those things, and without that personal exclamation I would have done the same I had done in the past – quit and moved on. One of the biggest challenges I had had in the past was trying to focus on too many things at the same time, especially when starting. Ok, this week, I’m starting a new diet, I’m doing cardio, going to introduce some HIT, going to go to karate, BJJ and wen I’m done I’m going to hit the sauna. Boom, three weeks of this and I’m golden. Not so fast homie, if you’re starting off in the same state I was, thinking like this is way off and you’re likely to fail. It’s just frankly too much for those of us not accustomed to that way of thinking. You have to start small. Don’t focus on a plan, focus on getting up. Getting out of bed at 6 am, getting in your car, checking into the gym; those are all big successes for folks like us. Embrace those successes. Those that have never been in those shoes will never understand. Now do that same small task a couple of times, in some form of consistency. I know a lot of health types, they all swear the value of diets. I actually don’t disagree, but when you’re starting you really need to stop thinking about it. The diet will come when you’re mentally ready. If you’re not mentally ready, you won’t succeed. When you’r starting, you’re frankly in a different mindset than most those that eat clean and have health life styles. That’s what you want to likely aspire too, but it can be daunting and overwhelming. Overthinking can lead to stresses and eventually failure on your path. When I started I didn’t think of diet at all. I focused on 1, getting up and moving. I don’t even know when I started to think of my diet, and even then I focused more on my lifestyle. Do I want to be eating McDonalds everyday? No? Ok, cut that out. Then Burger King, KFC, Jack in the Box, and so on down the line. I didn’t cut them all out at the same time, but one after the other. I slowly rolled them out of my day to day eating habits. Then came soda. At first I switched to juices, then realized that was even worse for me than I ever imagined, and so switched to Diet Soda’s. Yes, I know Diet Soda’s are likely just as bad, but they don’t put weight on you, so that’s for the win in my book. I eventually rolled in proteins, started looking at things like simple and complex carbs, etc.. but that wasn’t for 12 months after starting. Starting a weight loss journey is perhaps the hardest thing you will do, especially if its just you. If you can do it with someone, you’re golden – you can hold each other accountable. At some point though, you’re bound to go your different ways – be mentally prepared to continue on your own. You have to be prepared to surround yourself with like minded individuals. If you want to be healthier, it doesn’t make sense to hang around those that are unhealthy. Negative peer pressure is so much easier to allow to influence you, than positive peer pressure, when put side by side. The easier path is just that much more attractive a solution. There is perhaps nothing harder on a weight loss journey than a plateau – a wall. When I first started I wouldn’t hit them for every 30 lbs or so, then it started to creep into the cycle every 10 lbs, and now, every 5 lbs or so. It’s perhaps the the hardest part of the journey and makes it excruciating to fight through. Yet, you must. Mentally prepare yourself, when it arrives, smile, put it aside, and continue on your journey. At 100lbs I remember thinking, I should write a post about this, this is pretty cool, but inside I still hadn’t reached my goal weight. I really wanted to hit 190, it’d been so long since I’d seen that number and it just felt like a nice number. Finally that day came, almost exactly on the nose, November 22nd 2013. 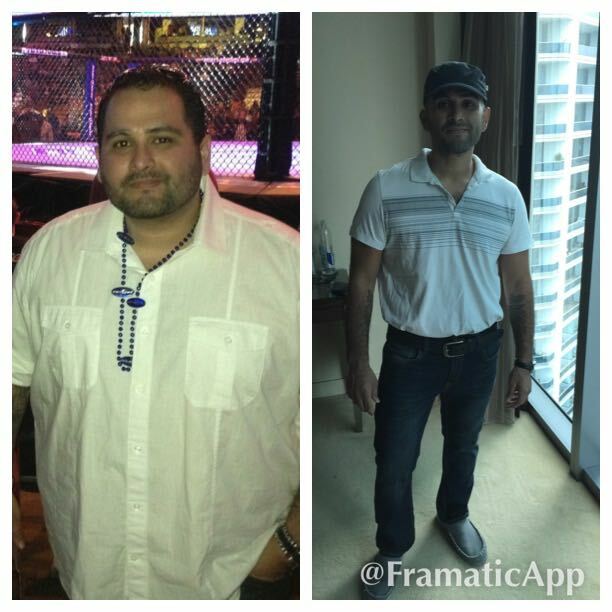 While in Miami cheering my uncle on, I weighed myself and a goal I set over 18 months prior finally became a reality. Now I set off on an even harder task; transforming the new body into something that doesn’t look like a twig and sustaining the new lifestyle I’ve created for myself. But first, I feast on some awesome Chocolate Chip Cookies, Pumpkin and Apple pie and some awesome Turkey and Gravy!! !